Experience North Carolina's internal power struggle on the eve of revolution! On May 16, 1771, a group of rebellious backcountry farmers who called themselves "Regulators" met the loyalist militia of Governor William Tryon in open battle. 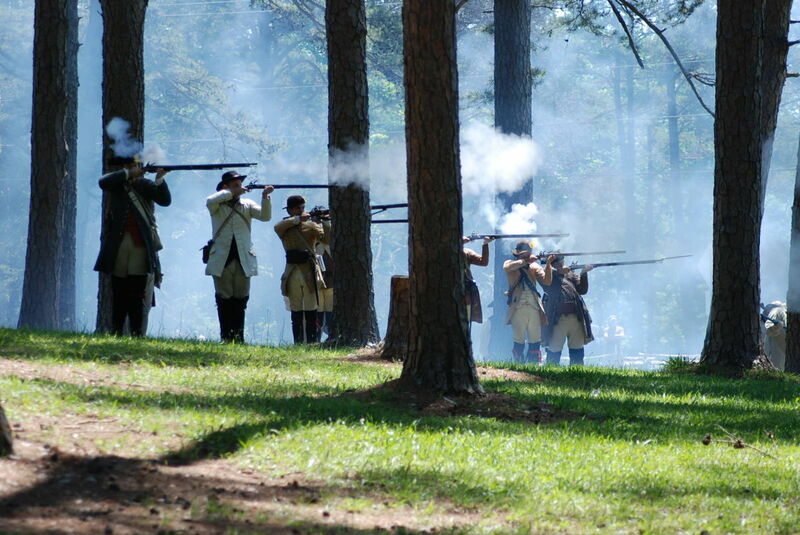 "Fight for the Backcountry" will feature a recreation of the Battle of Alamance on Saturday, May 18 at 12 p.m. Sunday's program will explore the aftermath of the battle. Events and living history demonstrations throughout both days will explore life in the backcountry in the early 1770s, as the American colonies stood on the brink of revolution.